As people increasingly reach for their phone to pay for goods in Australia, existing players in the contactless payment industry are trying to seek competitive advantage. Four of Australia’s leading banks are trying to secure collective bargaining rights for technology that grants access to Apple Pay. This service is currently only available to customers with American Express proprietary cards and ANZ American Express companion cards and ANZ Visa cardholders. The Reserve Bank of Australia’s (RBA) Payments System Board noted that innovations in mobile wallets can boost consumer choice and convenience. Cardholders may be able to consolidate a range of payment cards into a single app on their mobile device. 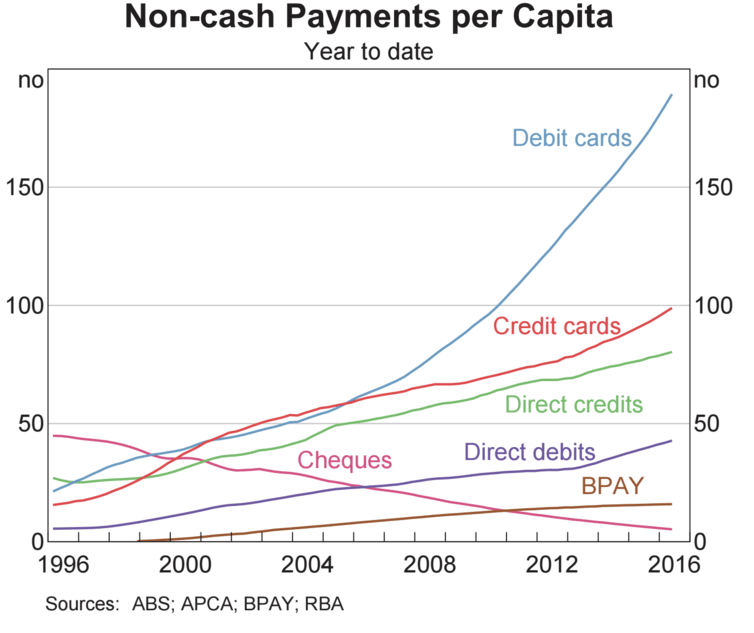 Australia is one of the leading countries in the take-up of contactless payment transactions. If Apple is blocking banks from offering this service to their customers, it should be questioned. The way that Australians pay for the goods and services that they consume is rapidly changing. The use of cash as a payment mechanism has continued to decline as consumers shift to electronic payment methods, especially for smaller transactions. Credit and debit cards are the most frequently used non-cash payments methods. In the financial year 2015-16, Australian cardholders made around 6.9 billion payments, worth $538 billion. That is an increase in value on the previous year of around seven per cent. 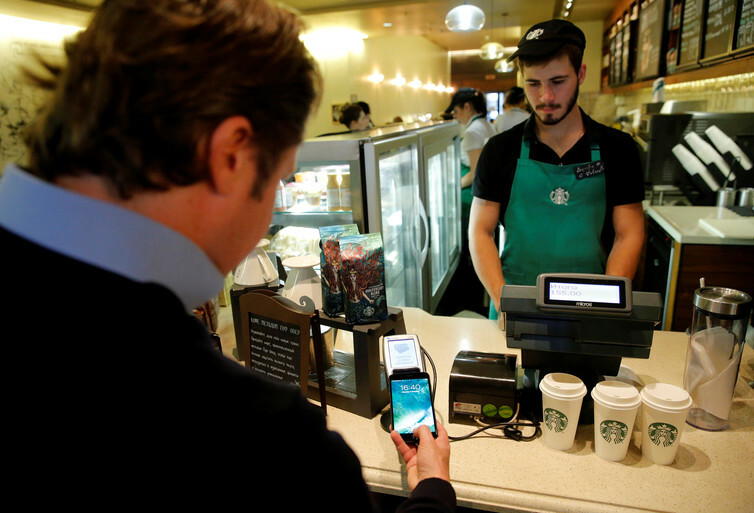 This trend is largely due to the prevalence of contactless technology at the point-of-sale. For example, some Australian banks claim that 74 per cent of all MasterCard in-store transactions are now contactless and that per capita, contactless payments in Australia are amongst the highest in the world. Added to that, the A$100 cap on such transactions is the highest in the world. The contactless payments industry has made substantial investments in the technologies that underpin convenient and secure payments. In particular this has seen the deployment of Near Field Communications (NFC) technology, used to accept both contactless card payments and mobile wallet payments. Merchant terminals that accept contactless payments via the NFC technology are now commonplace in Australia. Mobile payment applications such as Apple Pay, Samsung Pay and Android Pay have all been recently launched in Australia. Apple Pay arrived in November 2015, originally only for proprietary American Express cards. In April 2016, it was made available also for ANZ issued American Express companion cards and Visa cards. Four banks – the Commonwealth Bank of Australia, Westpac, National Australia Bank and Bendigo and Adelaide Bank – have applied to the Australian Competition and Consumer Commission (ACCC), to collectively negotiate with Apple Pay in Australia. In their evidence to the ACCC, the banks accuse Apple of trying to piggyback on their investment in Australia’s contactless payment infrastructure, while remaining “intransigent, closed and controlling”, in dictating terms for access to Apple Pay. The banks claim that Apple is seeking for itself the exclusive use of Australia’s existing NFC terminal infrastructure, “which has been built and paid for by Australian banks and merchants for the benefit of all Australians”. This negotiation is worth a lot to the banks, the banks claim Apple has approximately 40% of the smartphone market in Australia. The banks dismiss Apple’s claim that opening up access to the NFC function would undermine the security of mobile wallets. The banks point to the experience of Apple in China and Japan, where Apple Pay was forced to modify its demands in order to maintain parity with Samsung Pay. Besides seeking non-exclusive access to the NFC and standardised security for all mobile payment systems, the four banks want price transparency on transaction costs for mobile payments within Australia. This is an ongoing objective for the RBA. In its recent review of card payments regulation, the RBA set out to ensure that its reforms would promote competition and efficiency in the payments system by improving price signals and thus encouraging efficient payment choices for consumers. Apple Pay derives most of its income from taking part of the Merchant Service Fee (MSF) that merchants pay to the card issuers. In the USA, where contactless payments have yet to take off, MSF’s are much higher than in Australia. According to media reports, Apple Pay take around 0.15% of the value of every credit card transaction via its mobile wallet in that country. In Australia, the average fee paid by merchants to the financial institution for transactions on MasterCard and Visa cards was 0.72 per cent of the value of the transaction in June 2016. This followed a review of the calculation of the interchange element of the MSF’s in November 2015.These interchange fees are now 0.50 per cent of the value of the transaction for the credit card schemes and 12 cents per transaction for the debit card schemes. So there is not as much interchange revenue to share in Australia as there is in the USA. In its deal with Apple Pay, media reports say that ANZ has given up some of its interchange fees to Apple, but the actual amount has not been disclosed. In a submission to the ACCC, the four banks’ pointed out if Apple Pay were to gain a dominant share of all mobile wallet transactions in Australia, then consumers would not be aware of the costs that are associated with this method of payment. This would conflict with the RBA’s objective of improving signalling to consumers the price of each payment option. The four banks have received support for their bid to negotiate collectively with Apple from a number of card schemes, merchants, other banks and payment associations. The ACCC is expected to give its decision on their claim in November 2016. Is Australia is serious about offering consumers as wide a variety of payment options as possible and making consumers aware of the costs of each option? If so, then everyone should be able to use whichever payment method suits them best, no matter which mobile phone or bank they use.